This checklist is perfect for home owners looking to sell in the next few months. 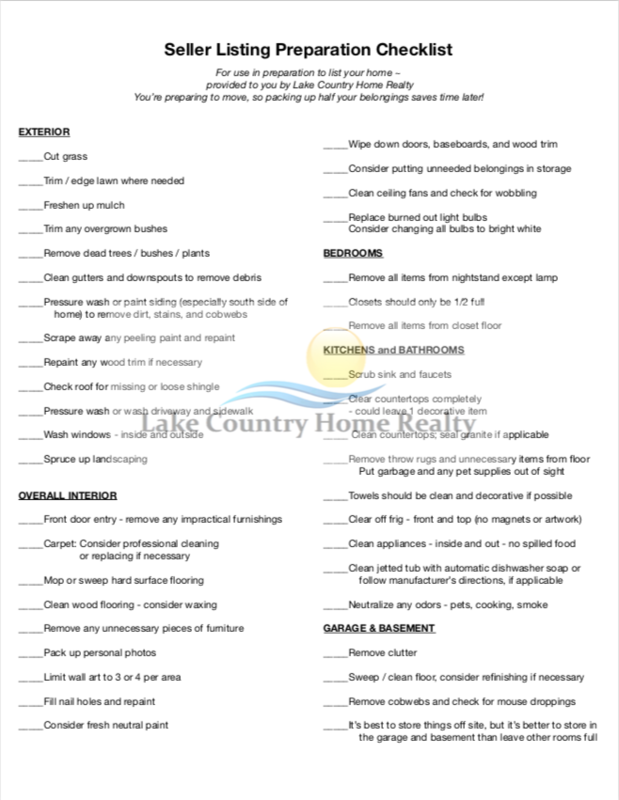 Lake Country Home Realty’s Seller Listing Preparation Checklist is the perfect guide to help a home owner sell and get the maximum dollar amount for their home. Go through line by line and complete the guide and your home will be in great showing and selling shape. When your home shows well it will sell faster and for a higher price.